Despite being well-intentioned, the usage of a hallucination during the bulk of Gotham’s runtime felt very contrived. With so many episodes to fill a season with, these types of episodes are often used as padding disguised as an introspective character study. Gordon’s mind trip under the spell of Mad Hatter did little to surpass expectations. Not only was the imagery relatively lackluster, there wasn’t enough exploration outside of what we already know. Despite the introduction of Gordon’s father, most of his dream sequence didn’t feel substantial enough to warrant an entire episode. Having said that, Barbara acting as Jim’s guide through his pandemonium was a nice touch. In fact, it’s the most subtle portrayal of that character since the first season. The skimpy nurse’s office was a bit unnecessary but it was a good representation of Gordon’s fear of entrapment with a former lover turned psychopath. When he wasn’t with Barbara, Jim’s hallucinations were nonsensical or half hazard attempts at being philosophical. One example occurs inside the GCPD. All the cops have been slain and Gordon follows Bruce through a literal war zone (Penguin included). When he finally catches up with Bruce, he dons an eerie Jim Gordon mask and Jim falls into hellfire. Does this represent Bruce becoming too much like Jim? Is Jim blaming himself for being unable to find the murderer of Thomas and Martha Wayne? Either way, it wasn’t convincing. Gordon’s sit-down with his father was the one instance where the dream sequence worked. Not only was this a decent way to snap Gordon out of his downward spiral, the ring reveal played into the cliffhanger. Is Gordon’s father actually alive and leading The Court of Owls? That’s the kind of ludicrous plot twist that one should expect out of this show. Be that as it may, it reiterated that Gordon seems far more likely to become Batman than Bruce Wayne based on this show. Speaking of Bruce, I still have mixed feelings about he and Selina attempting to date. I have a feeling that something will go wrong but it’s still too on the nose given their future selves. It was very charming to see Bruce slave in the kitchen to make an impressive dinner. I didn’t even mind Bruce somewhat berating Selina for being late. It’s still an awkward romance but Bruce has gotten off his high horse and started to act more on his impulses. On the other hand, the romance between Valerie and Jim has seemingly come to an end. After all, she did take a bullet for Jim because of him. The problem was that their breakup discussion was incredibly melodramatic. It would have been improved by Valerie simply stating she never wanted to see Jim again. She had a great line when she told Jim that she was right about everyone Jim touches being in imminent danger. The big question is where does Valerie go from here? She’s a bit of a loner so it makes little sense to find another romance so quickly. As a journalist, will she hold a longtime grudge against Gordon for her predicament? Perhaps she may just be written out altogether for some time. 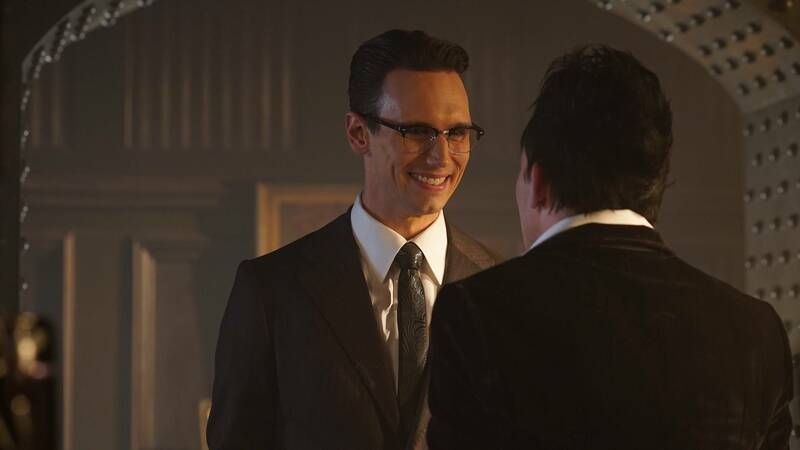 For the duration of this season, the Penguin/Riddler dynamic has been arguably the best relationship of the show. Last week’s episode, in which Penguin made it a romance, was a perfect tease for escalation. It was also a daring move that I was fully behind. Since the arrival of the Ms. Kringle doppelganger, it’s been all downhill. Her inclusion into this love triangle has made everything dull and one-sided. No attempt has been made to really explain her presence outside of sheer coincidence. Her uncanny resemblance to the woman Nygma murdered has to be intentional on the part of the writers. At the same time, it would be too much of a cop-out to make her a resurrected vessel by Hugo Strange. Whatever the reason, it had better be worth it. 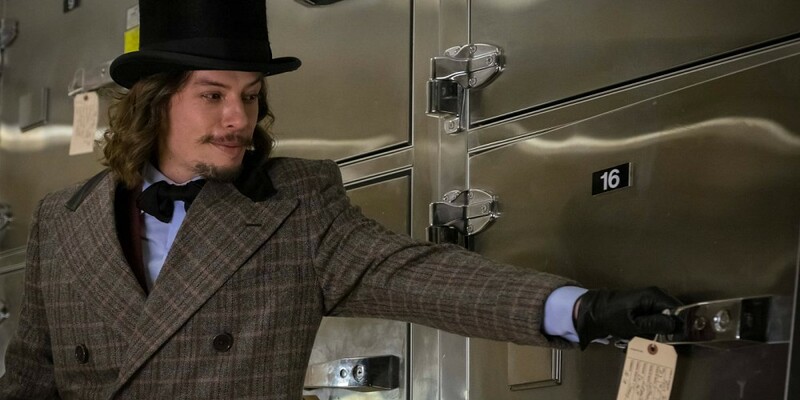 Tetch’s plot involving the corruption of the city’s elite felt more like an afterthought in the grand scheme of the hour. Once again, he is still around and looking to cause more havoc despite his capture. Hopefully, he returns to the forefront next week because the brunt of this episode was a chore to sit through. The payoff with Gordon’s father, while worthwhile, could have been delivered in a more straightforward manner. That aside, there’s not all that much to recommend about this episode.